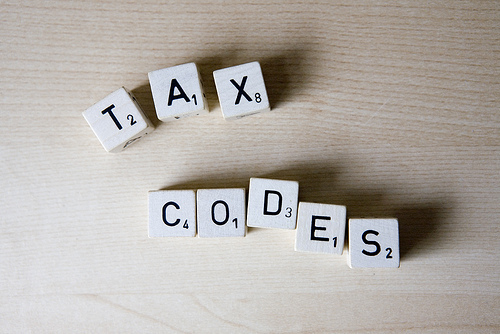 Welcome to 2018 - Tax Codes — Karn Couzens & Associates, Inc. Happy New Year! As 2018 begins we have been meeting with our friends and clients and taking a look at the tax reform passed in December of 2017. Here’s an overview of what you need to know. This past fall, House Republicans introduced their version of tax reform. Few observers thought such a massive undertaking could be signed into law within seven short weeks, but that is exactly what happened. In the hectic days that preceded Christmas, the president signed into law the most sweeping change in the tax code since 1986. For investors, the preferential treatment for long-term capital gains and dividends remains intact, as is generally the case for retirement accounts. One important change – the new law repeals rules that allow for recharacterizations of Roth conversions back into traditional IRAs. Once you convert into a Roth, there’s no going back. The new tax bill also repeals the Affordable Care Act mandate that requires all individuals to obtain health insurance. It becomes effective 2019. We fully expect that the rewrite of the tax code will produce unintended benefits and unexpected consequences. From an economic standpoint, Congress and the president hope to unleash the “animal spirits” that have been lethargic for much of the economic expansion. They hope that changes, especially as they relate to business, will encourage firms to open new plants, expand in the U.S., and level the playing field with the global community. Prior to reform, the U.S. corporate rate was the third highest among 188 nations (Tax Foundation). The $64 million-dollar question – will it work? About 90% of economists surveyed by the Wall Street Journal expect a modest boost to growth in 2018 and 2019, but after that, opinions diverge. If tax incentives boost productivity, it could lift long-run GDP potential, which would yield a significant benefit. If the economic benefits end after a two-year sugar high, it will likely be deemed a failure. Early anecdotal data offer some encouragement, as several large firms announced year-end bonuses or wage hikes tied to the lower corporate tax rate. At a minimum, the lower tax rate increases longer-run after-tax earnings, which played a big role in the late-year stock market rally. It could also boost corporate stock buybacks and dividends going forward, which would create an added tailwind for stocks. That said, we’re cautiously optimistic it will encourage entrepreneurship and economic growth, which would benefit hard-working Americans. We understand that uncertainty breeds questions and concerns. We are always available by phone or email and we’d be happy to talk with you and answer any questions you may have. We’ve been in the financial planning field for many years and have been inundated with articles and ‘experts’ that offer up specific roadmaps for stocks. None have been consistently right. The S&P 500 Index advanced 21.83% in 2017. That figure includes reinvested dividends. No question about it, 2017 offered rich rewards to those who invested in a well-diversified stock portfolio. What will impact shares next year? Longer term, it’s always about the fundamentals; economic growth and profit growth. Low inflation and low interest rates only sweetened the pot last year. The momentum generated by a growing U.S. and global economy is likely to carry over into the new year. While a 2018 recession can’t definitively be ruled out, leading indicators suggest the odds are low. However, unexpected events can create short-term emotional responses in the market that are best avoided by long-term investors. Last year’s lack of volatility was simply remarkable. According data from LPL Research and the St. Louis Federal Reserve, the biggest drop in the S&P 500 amounted to just 2.8%. It was the smallest decline since 1995. It’s an excellent reminder that volatility is typically a part of the investment landscape. Volatility can be unnerving, but it’s incorporated into the investment plan we’ve recommended for you. Keep in mind as we review our investment planning, that we think one of the biggest risks is living longer than we imagined, not worrying about short term financial market woes. It is our job to assist you! If you have any questions or would like to discuss anything, please feel free to give us or any of our team members a call. As always, we are honored that you have given us the opportunity to serve as your financial advisor. All of us at Karn Couzens & Associates wish you and your loved ones a happy and healthy New Year!